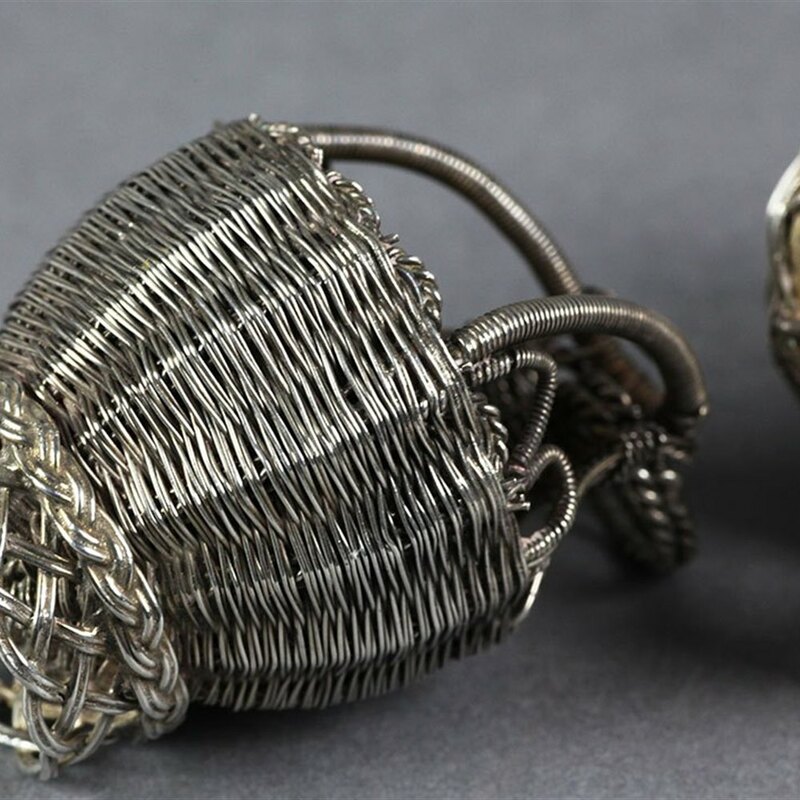 We offer this superb set of three antique Indian silver wirework salts modelled as handled baskets and dating from the 19th century. These finely hand made pieces each are formed as baskets standing on open trellis work bases with a solid body encased in wire work. The inner bowl of each salt has been gilded with an elaborate arrangement of wire work handles above with two free hanging loops attached to each. These are probably based on produce baskets which would have been strapped to the back of packing mule or carried on ones back. The baskets are not marked but test high grade silver.